A Class motorhomes offer the highest levels of luxury, spec and space – at Emm-Bee we are leading UK dealers with a wide range of A Class vehicles both new and used. In many cases, A Class motorhomes are the flagship models for makes and so they have a level of finish to match. The vehicles have other benefits too. The fully-integrated, full-width cab feels part of the living space in a way other motorhomes can struggle to match. The huge, sweeping front window is a stunning feature in itself while also offering unmatched driving visibility. Then there is the space. 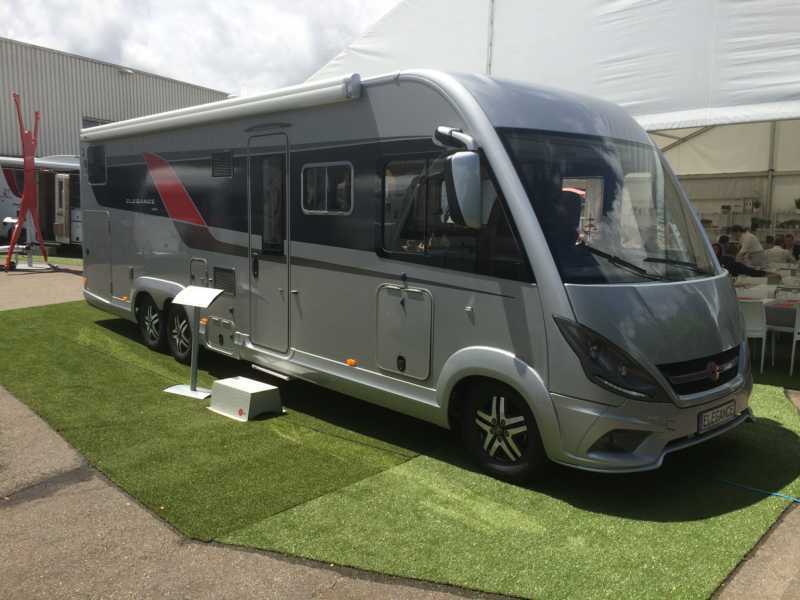 Some A Class motorhomes available to buy in the UK have lounge areas that can comfortably seat eight, they have bedroom areas that are romantic and refined rather than simply practical. Class A motorhomes are also practical to drive on UK roads. The size can be a concern to some at first, the full width nature of the cab, with the driving seat inset from the side of the cab is different to what the would-be driver might have experienced previously. However, a test drive displaces those fears. If you are keen to test drive a Class A motorhome we would be more than happy to oblige, we have a wide range of vehicles in stock, new and used, and catering to a wide range of budgets. A Class motorhomes give you a little more of everything – more space, more versatility and, yes, more weight too. These are vehicles built on top quality, heavy-duty frames; frames that are able to withstand the weight of a vehicle that is essentially a hotel on wheels. More, though, does not have to relate to the price. At the time of writing, we have A Class motorhomes ready to hit the road from around £35,000 to over £100,000. What would you get at each end of this scale? For under £40,000, you could be looking at a used Adria Vision. A typical vehicle would have under 50,000 miles on the clock, it would have driving aids such as a parking camera and cab air conditioning separate to the main body air conditioning. The inside would have a quality feel, with rounded edges, modern appliances and well-equipped kitchen, bathroom and living area. At the back, there would be storage space large enough for all manner of equipment, children’s bikes and sporting equipment for example. At just over seven metres in length and weighing under four tonnes it would also be an A class vehicle that was not too imposing, a four-berth perhaps perfect for adventure-filled family holidays. Alternatively, luxury brands such as Burstner can also be available for £50,000 and below – at the time of writing we have a used Burstner Aviano I684 with under 30,000 miles on the clock and under £40,000 on the price tag. It might not still be available by the time you read this! As befits a make whose marquee A Class models sell for in excess of £100,000, Burstners have a level of finish that is almost unmatched. On this site, you can get a feel for the interior by searching for new vehicles and then clicking on the video tours, typically it takes about two minutes to show them inside and out – there is a lot to show. At the top of the range sits the Burtsner Elegance – a vehicle that has enough storage to comfortably carry two motorbikes. It has a double floor that is winterised to ensure the motorhome is usable in all conditions, and there is a level of finish that is served so poorly by words, so well by heading to the image gallery. If you are looking for A Class Motorhomes in the UK, please do have a look round this site. We would also love to see to chat in person and to give you access to test drive any vehicle, we are based just outside Manchester and have easy motorway access. As you can see from our reviews on both Google and Facebook, we pride ourselves in customer satisfaction, a trait that has seen us thrive during more than three decades in business.